The body is intricately connected. If you lower cholesterol, you gain benefits throughout your body. One of the benefits of lowering cholesterol can be weight loss, and weight loss can make you look younger in many cases. You need to know, most importantly, what foods to eat to lower cholesterol! 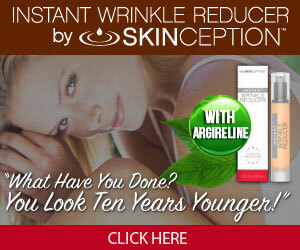 This will ultimately make you look amazingly younger! Doctors are quick to prescribe medications to lower cholesterol, sometimes completely ignoring natural, effective remedies such as a change in diet. There are foods you should avoid if you are trying to lower your cholesterol, and there are foods you should eat more of. This change in diet needs to be coupled with any medication prescribed by your health care practitioner, but the goal is to naturally control the cholesterol so you don’t need medications. Supplementation is also recommended to lower cholesterol. There are new studies and breakthroughs in the science of cholesterol control, and I will share it with you below. Always discuss any changes in your diet with your doctor as well! With your food choices, you have to realize that every food you put in your mouth is either medicine, nourishing your cells and feeding your body’s intricate needs, or it is poison, wreaking havoc, causing inflammation, and shutting down your youthful glow, the bounce in your step, and your sharpness and memory! What do you choose? Your doctor may feel you need the immediate results of certain medications, and I always recommend working with your doctor whenever you make any life changing alterations, but you should be trying to get to a point in your life where your lifestyle choices eliminate the need for any medications at all! Healthy, nourishing food along with vitamin and mineral supplements, will become your new medicine! You may have thought that all cholesterol is bad, but the truth is that you need cholesterol, the good kind, anyway. The good cholesterol is HDL (high-density lipoprotein) and the bad cholesterol is LDL (low-density lipoprotein). LDL is the nasty stuff that builds on the walls of your arteries and causes you all kinds of problems. HDL cholesterol then goes around after the bad cholesterol and removes it, reducing your risk of heart attack! So how do you get less bad cholesterol and more good cholesterol? It all begins with what you put in your mouth! How does low HGH levels affect cholesterol? The first thing that comes to mind whenever we discuss cholesterol is meat. Many people have concerns about not being able to eat meat when they are trying to control their bad LDL cholesterol. When I am talking about limiting meat consumption, I mean beef, pork and poultry. The great news is that eating fish such as salmon, sardines, tuna, mackerel and herring can actually help you in your battle to lower cholesterol. If you enjoy those delicacies, enjoy them at least 3 times weekly for maximum health benefits. Meat, such as beef, pork and poultry, should be limited. Discuss what a proper amount would be with your doctor, but you can get your protein from sources like peas, nuts, seeds, and beans. Meat is not, by far, the only source of protein! Remember, I always talk about baby steps. If you can try to slowly implement meals into your diet that incorporate other kinds of proteins besides meats, you will be one step closer to the new healthier you! Another culprit, if you will, would be vegetable oils. This is one of the easiest changes to make that will give you the biggest bang. Replace your vegetable or corn oil with olive oil or grape seed oil. Always limit the amount of any oil, but these would be the healthiest option to use if you want to lower cholesterol. We already discussed the benefits of eating salmon, mackerel, sardines, tuna fish, etc., so what else can we eat to help lower our cholesterol. Oh, that’s right, the HDL (good cholesterol) eats the LDL (bad cholesterol) so let’s get more HDL, shall we? Grab a jar and much a few! Delicious juicy olives are going to bring down that LDL so eat up! Use Extra Virgin Olive Oil for your cooking and for your salad dressings! Pop a few in your next salad! Make a glass of fizzing water with a skewer of green olives! Use your imagination! Remember, baby steps! That’s an easy one to add to your repertoire! Think about all the ways you can eat beans. Bake up some navy beans. Make a batch of healthy pea soup or split pea soup. Add kidney beans to your salad or burrito! I could write a whole article (and perhaps I will, actually) on bean recipes! These delicious little gems are absolutely loaded with soluble fiber! That means they lower that cholesterol! Believe it or not, the fattiest of the fish wins when it comes to lowering that bad cholesterol! Why? That happens because the good cholesterol HDL provided by these fatty fish actually carry out the bad LDL through the blood and out to the liver where it flushes it away! Amazing! So eat plenty of salmon, mackerel, and solid white tuna! These powerhouses are going to give you a punch of protein, as well as facilitating the lowering of your bad cholesterol level! Look for future articles where I will feature tried and true delicious recipes incorporating ingredients like these! Here we are again with those good fats! Those amazing Omega-3 fatty acids. Lower lower lower that cholesterol by eating amazing avocados. Eat a wide variety of fruits and veggies for a fiber-rich diet! I cannot stress enough the importance of eating fruits and vegetables, and with all the recipes out there, you are sure to hit on a few that you find delicious! Experiment! Some of you may not eat meat at all, or some may just eat fish and chicken, but for those who enjoy juicy steaks and sizzling bacon, this is for you! If you are serious about lowering your cholesterol, you need to focus your meat consumption on fish first, chicken second, and then occasionally beef or pork. Occasionally. You don’t want to limit your diet so much that you stop doing it. You want it to be comfortable. Nuts are amazing, and I’m sure out of all of the delicious varieties, you like at least one or two of them. Peanuts are the only nuts to avoid. They are not healthy in the way they are grown and manufactured and should only be consumed as an occasional treat. Grab walnuts, almonds, or cashews and enjoy! Have you ever heard of plant sterols and stanols. Plant sterols and stanols are found in very little amounts in some of our foods like fruits and vegetables. . Since they have powerful cholesterol-lowering properties, manufacturers have started adding them to foods which great success! The foods that naturally supply the sterols and stanols are foods I do not recommend you consume in large quantities. These foods are ones that should be in the “occasional treat” category. They include wheat bran and germ, oils like corn and vegetable, and peanuts. No, peanuts are not good for you and should be avoided, and so should wheat. You can read about the foods to avoid for better overall health in another article on this website.. For now, I would like to review with you two products I recommend in order to get those very valuable sterols and stanols in your diet. Remember, if you continue to experience high cholesterol, be sure to consult with your health care professional. Here are the two products I recommend made by Piper Biosciences. The description of each is below the pictures. Piper Biosciences’ Cholesterol Wellness Kits include a 30 day supply of gummies containing plant sterols. Plant sterols have been clinically proven to reduce cholesterol in over 100 scientific studies. Plant sterols are naturally present in foods like nuts, avocado and olive oil. According to United States FDA, diets that include plant sterols can lower blood cholesterol which may reduce the risk of heart disease. Plant sterols are a great choice for people who are not yet candidates for medication or who hope to avoid prescription medications and their side effects. Products containing at least 400 mg per serving of plant sterols and stanols, eaten twice a day with meals for a daily intake of at least 800 mg as part of a diet low in saturated fat and cholesterol, may reduce the risk of heart disease. One serving of Nature Made CholestOff Original supplies 900 mg of plant sterols and stanols for a daily intake of 1800 mg.
Reducol is a trademark of Pharmachem Laboratories Inc. The Piper Cholesterol Wellness Kit was designed by a professor from a top US medical school with the support of renowned preventive cardiologists. Our wellness program was designed in line with the recommendations of leading medical societies including the National Lipid Association (USA) and the European Atherosclerosis Society (Europe). Each box contains thirty daily packages of fruit flavored gummies containing plant sterols. The dosage of each daily pack exceeds the FDA dose requirements for plant sterols. The package provides medical tips that will help put you on the path to better cholesterol health. The Clinical Strength Cholesterol Wellness Kit contains 30 pouches, each containing 6 gummies, providing 1400 mg of plant sterols per day. I only recommend products I wholly believe in, and I always recommend you consult your physician before any dietary changes, including supplements. Please be aware that any products I sell on this page are through an affiliate agreement with Amazon.com, and I receive a commission from all sales. This agreement in no way affects the price of these products for you. The product picture links will bring you to the Amazon.com website where you can buy these or any other product there for exactly the same price as everyone else. I want you to know that I appreciate your support to help fund the research, time and energy that goes into providing you with excellent information on your health and beauty!! When you make changes in the way you eat, healthy choices, when you increase your activity levels, and your nutrient intake, you take control of your health, and you will notice a boost in energy levels and a sparkle in your eye as your body recovers and renews. Congratulations, you’re on your way! Take control of your health and follow these proven steps. Remember to always consult with your healthcare provider with any and all health concerns. I welcome you to subscribe to this website. This will provide you with notification whenever a new post is created. Please feel free to comment on this or any of my articles. I welcome your comments and questions, and I do try to respond in a timely fashion. Please note that if you purchase any of the products I recommend on this website, you help to support the research and development that goes into producing this website. I always negotiate great deals for my readers! Thank you for your support! I like your article. I am currently going through the food changes in eating better. I have never heard of Plant sterols and stanols. I have struggled with high cholesterol for years. It is possible to improve health without medicine, and I can’t tell you how happy I am that your doctor advised you to do just that and improve your diet. Let me ask you this, did the doctor provide you any guidance on the dietary front? I was wondering if any of the foods I recommend are on his/her list. I agree with you, so many doctors recommend medication instead of other alternatives. People seem to be looking for the silver bullet, or the quick fix and medication is the first option a lot of times. I am interested in looking for alternative ways to lowering my cholesterol and I will definitely take a good hard look at these supplements you listed. What do you know about Turmeric, or Curcumin? I am not sure of the correlation between the two, the these seem to be the latest “super food”, or cure-all if you will. Diet and exercise are always a good option too! Thanks so much for sharing your expertise, I appreciate it. I’m falling in love with your website, I find so many useful things here 🙂 I love that you always say to take baby steps, that’s so important if we want to stick with something and make a habit out of it. The good thing about all this is that I really don’t like meat, and I did not know that I could replace the protein of the meat with nuts and beans, and I do like the fish so I’ll enjoy this change in my diet! As I get older I always worry about my health, because all my life I have avoided taking medication and I don’t want to start now. I agree many Doctors don’t try to help you regain your health by giving advice on how can improve it, instead they give us a medication and just call it a day. You article is rich with great healthy tips. I will definitely be returning to learn more on healthy living. Great information Babs. I really love the way she promote talking with your healthcare practitioner before starting any major change in your diet. You have provided us with some great advice on what foods to avoid and what foods are healthy for you. You promote eating nuts but unfortunately I suffer from bouts of Diverticulitis and cannot eat nuts.I love beans but haver found out if baked beans are good for you. Any help? Oh yes, baked beans are very good for you! Yummy! Great article Babs! I always have a hard time remembering which one is my good cholestrol (HDL) and which is my bad cholestrol (LDL) lol I don’t know what it is but I remembered it after reading your post. I was doing some research into lowering my HDL and I read that if you drink a warm oolong tea after a meal it also help low your cholestrol as well. Since I needed to lose some points on my HDL I’m giving it a try. Have you known or heard of this? Yes, I have read that before. Try it and see! I’ve tried several of the statins to lower my cholesterol, but all they did is cause me to have memory loss issues. My doctors no longer attempt to put me on them! I love fish, and have been eating more salmon and sardines as I have been working to lower my blood sugars, as well. I have been using extra virgin olive oil for a few months now. But I am thrilled that green olives can be consumed, too! I love olives! I also love many kinds of beans. I wonder about lentils, though. I have been taking fish oil supplements for the past few weeks in the attempt to drive my bad down and my good up. I am going to talk to my doctor about the Nature Made CholestOff Original as it sounds like that may have benefits for me, as well! Thank you for sharing! Hi, I really enjoyed your post! It’s always nice to read simple things we can do to benefit our health. Making some baby step changes to maybe eliminate a night or two of ‘bad’ meats and replacing with some good fish or beans is an easy thing to do and it’s great to know that it can help my body feel better. I’m not much of an olive eater but I do prefer olive oil when cooking. I actually even prefer using olive oil when I’m popping popcorn on the stove! Just gives it a much better flavor! I just started getting into avocados. My daughter had been eating them for a while so I had some in the fridge. She wasn’t eating them and I didn’t want them to go bad so I started putting them on toast in the morning. It is so good! Thanks for a great post and I look forward to reading more! They say you are what you eat. And here I am looking at another page on your website. I am a diabetic that is over weight so a lot of the stuff Im finding on your site is good for me. Eating and exercising is very important. I deal all the time with carbs and fats but never really thought of cholesterol levels. Once again thank you for giving me the information to help me feel better. Hey Babs! How are you doing? This post is just stunning and it’s jam packed with all the useful information. This is a must read for people who are suffering from high cholesterol levels. I’ve definitely learned something new today by reading this post. Thanks a lot for sharing this post with us. Keep up the good work! Thank you so much! I’m glad you got something good from it, as that is always my intention. I replaced vegetable oil yrs ago I use extra virgin olive oil and also coconut oil. So what is your take on coconut oil is it also good for cholesterol? Plant sterols and stanols I am just recently learning about so to read more about them in your article was most interesting. Thank you for the added information. Coconut is a superfood, and coconut oil is extremely healthy. I use it for many things, and I even put a scoop in my smoothies. Really good read! there is so much good information, I never knew so many foods can actually help lower our cholosteral. Have you tried either of these two cholosteral products? Just wondering if maybe you had a preference between the two? or would you recomend trying to do it natrually first? I do always recommend food sources, but honestly, it is difficult to get all the nutrients the body needs on a daily basis. That is why I am a believer in eating the right foods, but in supplementing so you are always on top of those important nutrients. Either product is recommended by me. Great cholesterol numbers with both tests. I personally love taking fish than meats and your post has given me more reasons to keep up that attitude. As a young and energetic guy I’ve not really concerned myself about cholesterol but you’ve convinced me enough to conscious about what enters my mouth. I will try to implement most of the food stuffs you’ve recommended and I hope to see real change in my system. I was suffering for too high cholesterol level a few months ago so this post is really good, also how I felt. Eating products with low fat and sugars helped, and like you say, omega fats and olive oil are really helping. I will share this post to my father in law because he is also suffering from it and he doesn’t believe these things. I’m sure when I shared it he will have an other look into it. Thanks alot for this post!